On Friday, April 13, the Padnos International Center (PIC) will announce this year’s winners of the Pineapple Awards. Every year, international students at Grand Valley State University nominate professors, faculty and staff who have played an integral role in their experience at GVSU and have made them feel welcomed. At the end of the year, a ceremony is held for international students to commemorate their time at GVSU, and at this ceremony the winners of the Pineapple Awards are recognized. Kate Stoetzner, director of international student and scholar services at the PIC, is part of the committee that organizes the ceremony and selects the recipients of the awards. 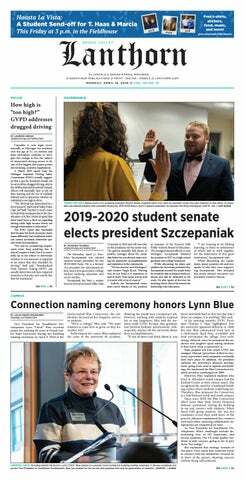 Stoetzner said international students from across campus submit their nominations, along with an explanation of how that faculty member or professor impacted them, and then a committee of PIC staff reviews these nominees and selects the strongest candidate. Stoetzner said sometimes this is just one person who has made a big difference in one student’s life, while other times it is one person who has made a smaller impact on multiple students’ lives. "We’re really just looking at what that impact has been," she said. Stoetzner said there is a deep significance behind the pineapple. Throughout history, pineapples have represented hospitality. In the colonial U.S., middle-class women would rent pineapples and display them at events as elaborate decor. If at one of these events they actually served the pineapple and guests could eat the fruit, that was a sign of immense wealth and luxury. “You knew you were upper class; you had arrived if a pineapple was served, and you could actually (eat)," she said. "That’s why we use a pineapple." Recipients of the Pineapple Awards at GVSU actually receive a certificate as well as a pineapple to symbolize their exceptional hospitality. This will be the 14th year of the awards. There are four different categories in which international students can nominate someone, including GV faculty, GV staff, GV student and community member. Shinian Wu, professor and director of applied linguistics at GVSU, has been able to know and work with many international students on GVSU's campus, and it was these students who recognized his outstanding hospitality and nominated him for the faculty Pineapple Award in 2017. Wu enjoys working with students both in class and outside of class. He takes an interest in his students’ studies, career ambitions and general lives. Wu’s job is to train future teachers of English as a second language or foreign language so they can work at home and abroad teaching the English language. In this program, he has taught international students coming from Africa, the Middle East and Asia. “Working with them is a lot of fun," Wu said. "I always believe in internationalization of the university, and that’s why I love what I do." Wu has high hopes for the students with whom he works. “I, like all of my colleagues, want our students to graduate from GVSU not only with the knowledge and skills they have gained, but also with a positive and open-minded view of the world," he said.